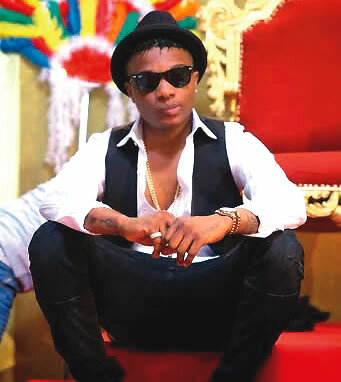 Wizkid has reacted to allegations he canceled anN8.9m school show at the last minute..The star was really on fire earlier in the week as so many people abused him on social media for allegedly cancelling a show with American University of Nigeria in Adamawa State. A twitter user alleged that the singer had collected N8.9m from the organisers of the show only for him (Wizzy) to cancel it at the last minute. Reacting to the allegation, the singer made it known that he was not happy about the way his image is being tarnished. “What really happened was that they were talking to me about an event in their school and the first date they chose was already booked. They asked for dates that I would be available and I gave them various options and they chose November 21, 2015. After choosing the date, I sent them a contract and after that they did not get back to me until someone else booked and paid for the date. “When they got back to me last week, I told them that someone had paid for that date because we do not leave dates open for people as they could mess us up. We work on first come, first served basis. They said that they would pick another date next year because this year was not going to work for them. I spoke with the organisers last week and they said that they were shocked at what was happening on the social media because they thought of choosing March, 2016 as a suitable date. “They told me that it was someone from their school that had nothing to do with the show that is tweeting wrong information. The guy who spoke with me was full of apologies about the incident. He said that they are finding ways to salvage the matter by countering the previous maligning tweets. He said that they are trying to clear the air because they do not like the dimension the situation is taking. They hope to fix another date with us to come for the show and they said they would not want us to have any problem,” he said..
“Their claims are very funny because they said I cancelled the show in the last minute. This is a show that they have not paid for, nothing is confirmed about the show and they have not started promoting it. This is a show that they do not have a contract with us and they said I cancelled it at the last minute. That is not fair. The organisers have repeatedly called to apologise and make me understand that the story did not emanate from their camp but from someone that has absolutely nothing to do with the show,” he said.